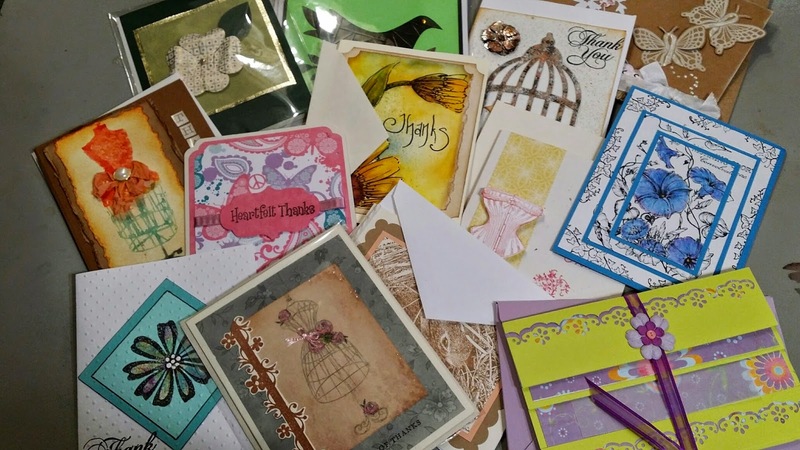 The Gentleman Crafter: Cards Card Cards! Project: I Care! 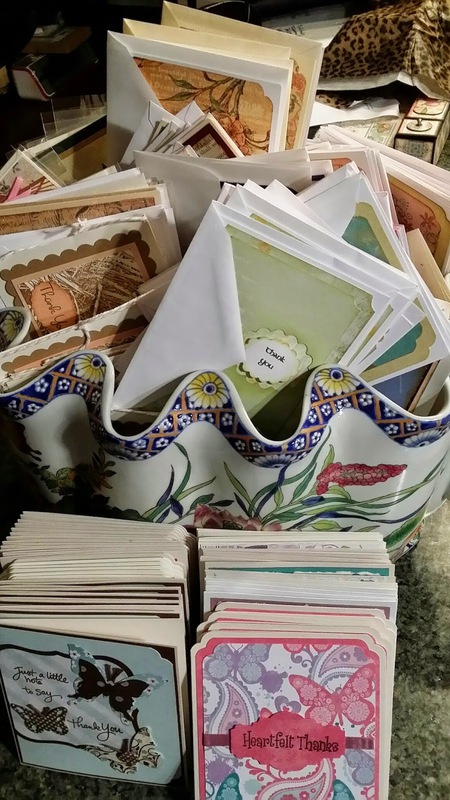 Tonight, before I call it a day, I wanted to share some of the Project: I Care Cards that have been coming to the farm for me to take to the Seton Breast Care Center. I had held off opening the cards as I needed to get a tutorial done and as a reward, when I finished, I would open the cards and look at them one by one. Truly a real treat. Well, tonight was the night! OH MY GOSH!!! GORGEOUS CARDS! Hundreds of them! I know there are many others who have contributed to Project: I Care which were received by Kathryn in VA and I SOO Thank you as well! I can't wait to see them and share them. WOW! Such outpouring of love. And YOU started it, my friend! So wonderful! The recipients will be thrilled! This is a great thing you are doing Jim. Everyone who is contributing to I Care is making a difference . Thanks. The cards are beautiful! The people making them are beautiful!! You are beautiful...well handsome...to have started this awesome project!!! Thanks for sharing some of the cards...more inspiration for all off us!! The cards are beautiful! Still working on mine, but should be mailing soon. This is such a great project Jim, thanks for inviting me to join. Take care & God bless. That's great! Such a wonderful outpouring from you friends and followers! I am sure,they will be enjoyed. Isn't it amazing how different each and every one of them is. All very beautiful. You have some very wonderful friends and collegues Jim. Ditto what TexasBarb said so well! This would not have happened if not for you in the first place - so well done! I plan to make some more cards for you at the weekend.